Marvel Releases New SECRET EMPIRE TEASER TRAILER! United We Stand! Marvel Releases New SECRET EMPIRE TEASER TRAILER! New York, NY—April 10th, 2017 — This is it, the moment you’ve all been waiting for! The heroes of the Marvel Universe charge headlong into all-out war against Hydra! Today, Marvel is excited to release a SECRET EMPIRE TEASER TRAILER! Launching May 3rd at your local comic shops, this blockbuster debut is set to take the world by storm! From superstar creators, Nick Spencer, Steve McNiven, Andrea Sorrentino, Leinil Yu and Daniel Acuña comes SECRET EMPIRE! The Marvel Universe is under siege from within. Due to the manipulations of the Red Skull, Captain America–secretly a true believer in the cause of Hydra–is finally set to enact his master plan. Yet as the dominoes begin to fall, there are those who would rise to meet the challenge. Hydra’s ascension stands as a rallying cry, and Avengers, Champions, Guardians, Defenders, X-Men, Spider-Man and more must put aside their differences and come together as one: The first and last line of defense against Hydra! 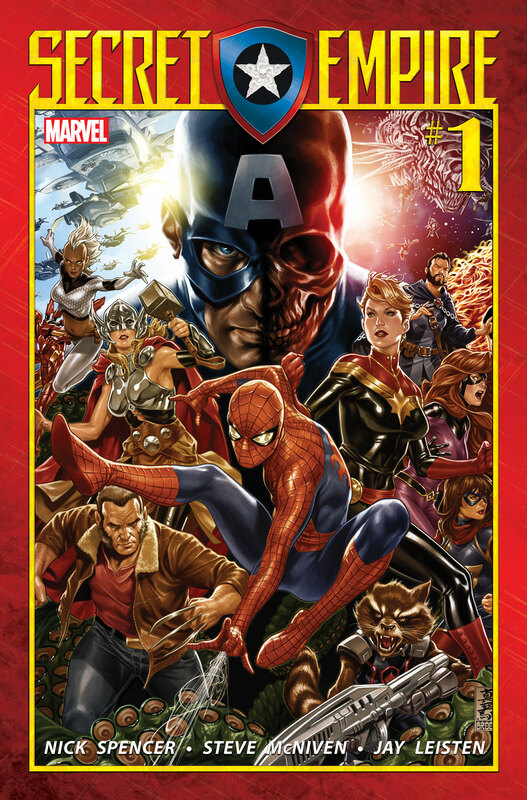 Be there for the can’t-miss comic event of the summer when SECRET EMPIRE #1 comes to your local comic shop on May 3rd. 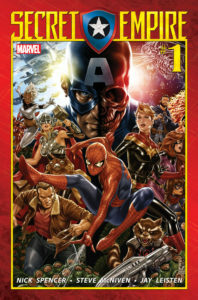 Plus, don’t miss an original 10-page Secret Empire story available on Free Comic Book Day (May 6th). To find a comic shop near you, visit www.comicshoplocator.com or call 1-888-comicbook.